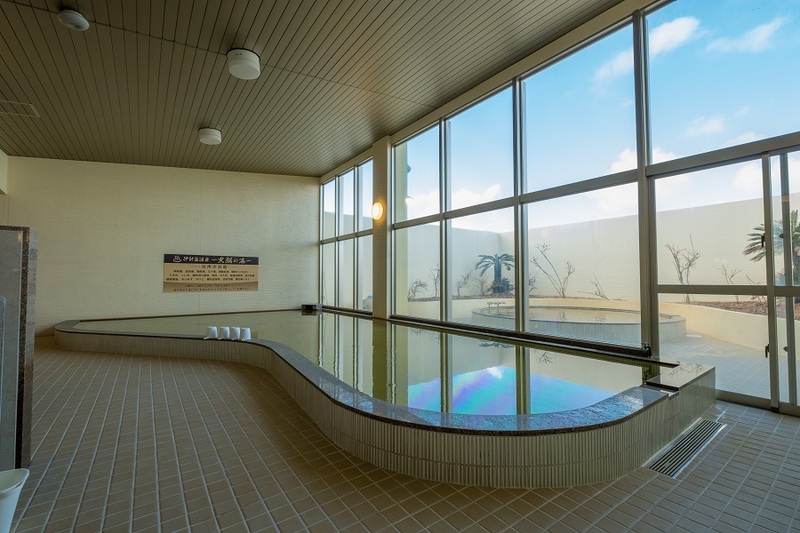 Ikeijima Hot Spring Kuroshio-no-yu, New Annex. a place for rest and relaxation that soothes the tiredness of travel. from a depth of approximately 1,135 meters. 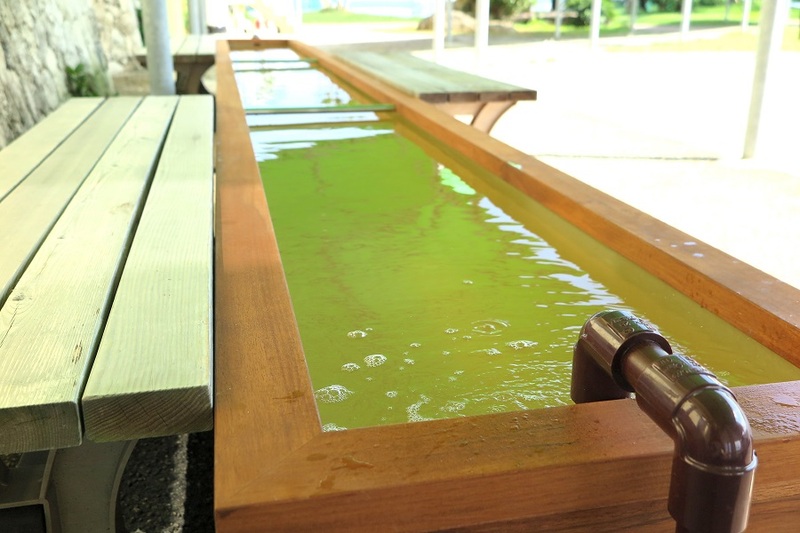 This footbath, popular among locals, is available for use free of charge to both hotel guests and non-guests. 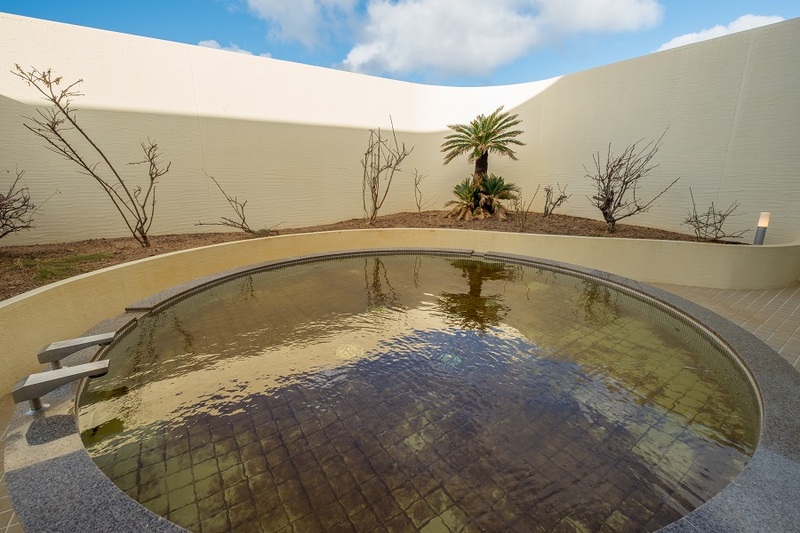 and open atmosphere of the expansive bathing area with its full wall-sized window. 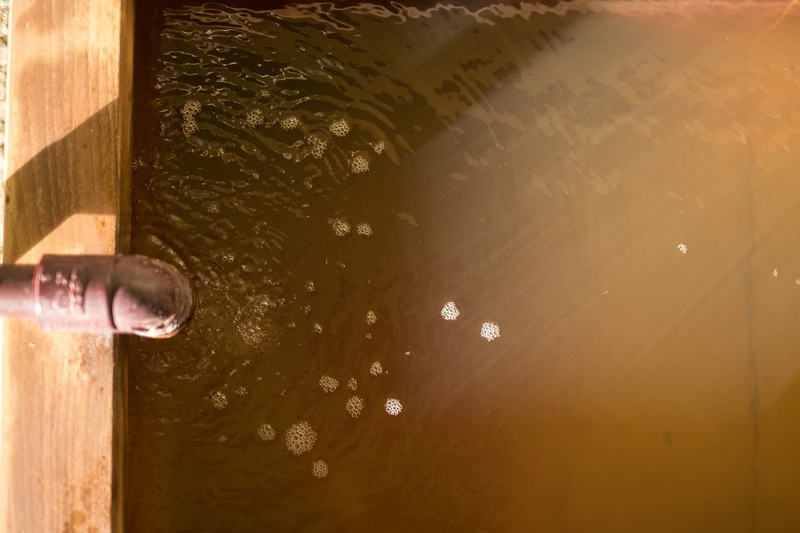 The bathwater is highly salty but is quite gentle on the skin without causing irritation. to have an effect on chronic skin diseases and chronic female problems. is cooled down by the chilly open air. There is also a large jacuzzi outside for use under the wide-open sky! 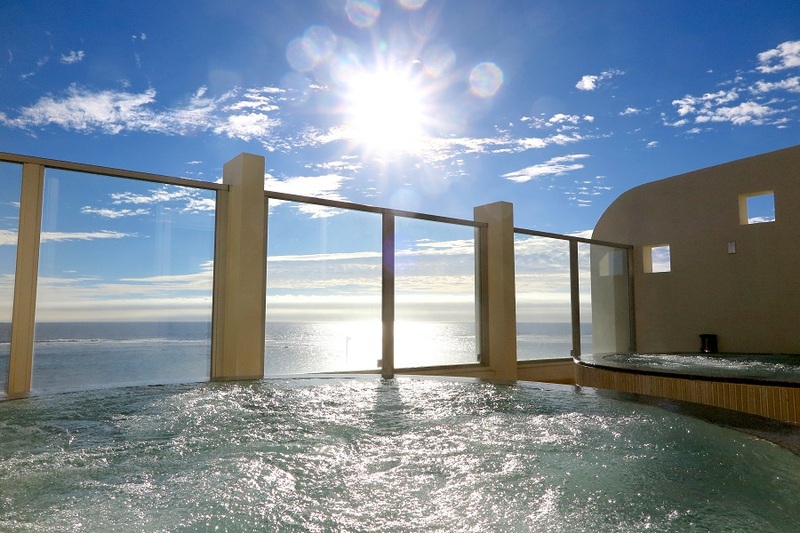 a bath with a fine view that requires reservation for use and is available for exclusive use by a large group. all for yourself! 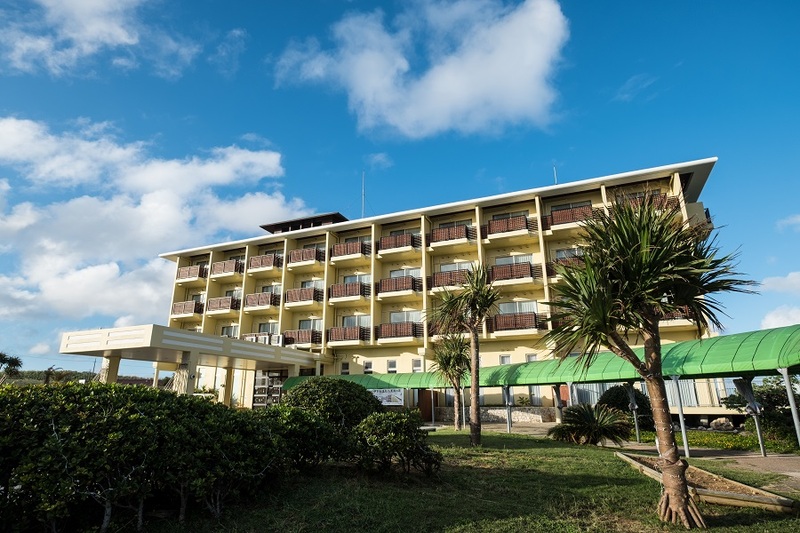 Even before entering the hot spring, you may find yourself gasping at the beautiful scenery. 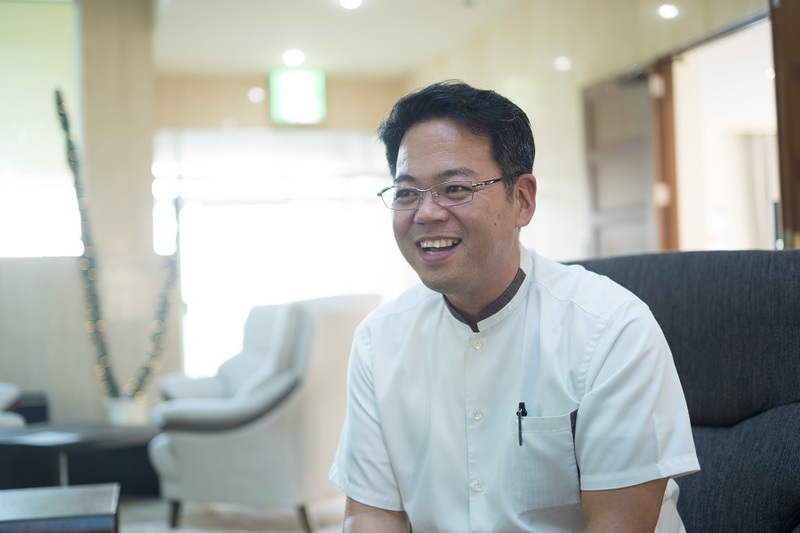 Motoki Tamashiro is the general manager at the resort. but local people as well,” he says with a smile. 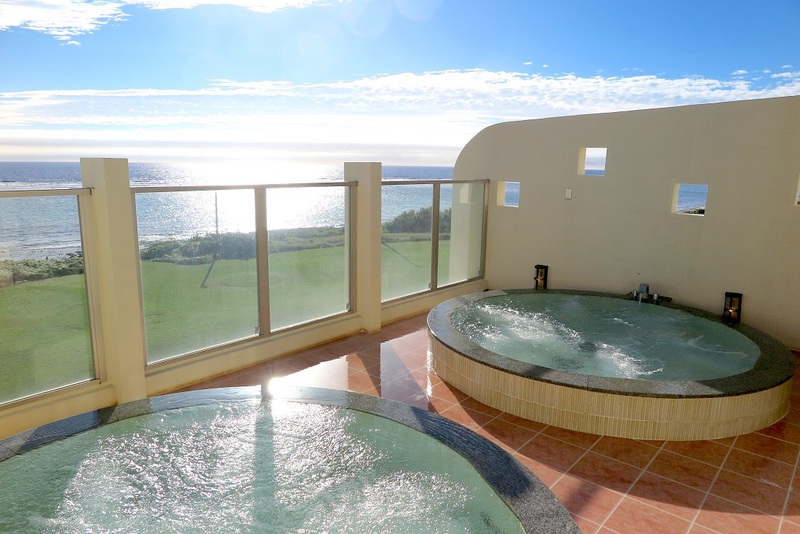 where you can enjoy natural hot springs and beautiful views with your entire body. 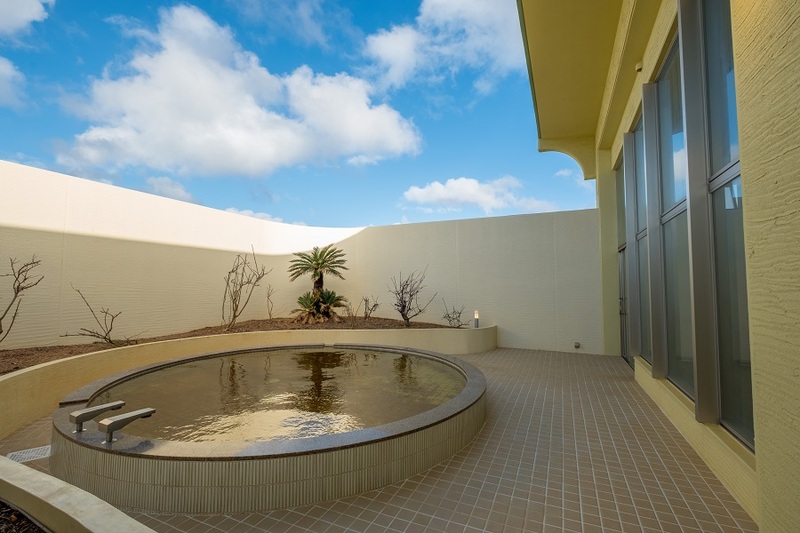 Kuroshio-no-yu, New Annex" & "Moonlight - Reservation-only bath with an expansive view"